You'll be £20.00 closer to your next £10.00 credit when you purchase To the Last Man. What's this? The Home Guard was formed in 1940 to fight an uncompromising and essentially suicidal campaign that was to buy a few hours grace for the regular forces to re-group after a German invasion. But the Dad’s Army TV series has led to a serious distortion in the perception of the Home Guard and, as Malcolm Atkin reveals in this thought-provoking and meticulously researched book, its image was manipulated from its earliest days. Using official documents, contemporary histories, stories, artwork and poetry, and comparing these with post-war films and histories, he takes a unique perspective. 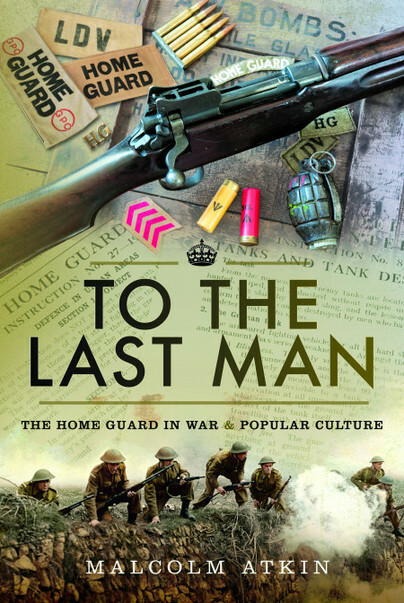 He explores how the myths of the Home Guard arose and were exploited by official propaganda and the wartime and post-war media. He also shows how the strong sense of gallows-humour amongst its volunteers – which fits in with a long tradition of self-deprecating humour in the British army – was taken out of context and became the basis of the TV series. To the Last Man strips back the myths and forensically analyses how the modern perception has evolved. The result is a new, gritty, sometimes shocking, appreciation of the role that the Home Guard was expected to play in the Second World War. New book by Malcolm Atkin explodes the myth of the comical Dad's Army of TV fame.